Lindsay along with Barb Stokes opened Dance Unlimited in 1993 with the intent to offer a studio where students could build a passion for dance by learning in a positive and enjoyable environment. Starting at the age of 3, Lindsay trained with those such as Bebe Eversfield, Maureen Eastick, Sherry Black and Sylvia Hosie. She studied Musical Theatre, Tap, Jazz, Voice and R.A.D. Ballet, completing several exams with outstanding results. In addition to her dance training, Lindsay figure skated and completed her B.C.R.P.A. Fitness course. She continues to train by attending conventions here in Canada and in the US. She has performed with the UVIC Air Canada Cheerleaders, at the David Foster Celebrity Baseball game, Expo ’86 World Fair and with the children’s singer Bob Schneider. She performed in the productions of “Grease’” and “Something in the Air” and choreographed for “Fievel, Lost in America”, “The Little Mermaid” and “Beauty and the Beast”. She has been teaching and inspiring dancers in Victoria since 1989 for those such as the Greater Victoria School District, Island Catholic Schools, Saanich and Juan de Fuca Parks & Recreation and the Jazzercise Fitness Centre. Lindsay directs the studios Performing Companies and has travelled with them to attend conventions and master classes and to perform in places such as Disneyland, New Orleans, New York, Phoenix and Edmonton. Deborah is a locally trained dancer who has studied dance for over 35 years and has been teaching Ballet, Tap and Musical Theatre in Victoria for over 25 years. She has trained in Ballet, Jazz and Tap and has completed her Royal Academy of Dance examinations with high success. Deborah went on to achieve her R.A.D. Teacher status and presently her students have achieved outstanding marks in their examinations and assessments. Deborah is a passionate teacher who continues to encourage, motivate and inspire her students to achieve their personal best. She applies this philosophy for herself as well, consisitently attending R.A.D. seminars and courses to keep herself updated and in the know. Deborah is also an accredited Montessori School educator (IAPM) and applies this training into her dance classes. Dance Unlimited is excited to have Deborah partnering in the Ballet program and sharing her passion with her students. Melanie has lived in Victoria B.C. all her life and discovered her passion for music at a very young age. She started performing at the age of 4 with “The Voice Club”, a Pop and R&B singing and performing group. She discovered her love for dance at age 5 and has been trained in many dance styles including Jazz, RAD Ballet, Lyrical, and Hip Hop. Since then, she has participated in many competitions, festivals and performances receiving outstanding marks and awards. She attended and graduated from St. Andrew’s Regional High School where she took part in her school choir and travelled to Whistler to participate in choral festivals. She was on student council serving as a Fine Arts representative while being very involved within the community. She took part in Theatre Performance at her school where she choreographed dance numbers for her school musical “Doo Wop Wed Widing Hood.” She landed the lead role in her second year of theatre performance playing Peter Pan in her school’s production, “Peter Pan.” She began choreographing dances and singing solos for her school’s variety show “Diamonds in the Rough.” While in high school, she had been awarded Top Student in Choral Music for several years and music scholarships. She obtained teaching experience when she became an assistant teacher for young children in dance. Melanie received her certification in Acrobatic Arts Module 1. She is excited and feels blessed to have been given this opportunity to share her passion for the arts with the students of Dance Unlimited. Megan began dancing at the age of ten in Courtenay BC. Her passion for dance showed immediately as she trained in various styles such as Jazz, Ballet, Tap, Hip Hop, Lyrical, Contemporary, Irish, Musical Theatre, and Salsa. She attended various competitions and workshops where she won multiple awards and scholarships. After graduating from high school Megan moved to Vancouver and was accepted into Simon Fraser University’s Contemporary Dance Program. That summer she also travelled to Toronto where she trained with the Toronto Dance Theatre in various modern and contemporary styles. After returning to Vancouver she was accepted into the Drive Scholarship Dance Program where she trained on a professional level in a wide range of dance styles. Megan was an apprentice for Amber Funk Barton, Heather Laura Gray, and performed with Project CPR based out of the Dance Centre. She was lucky to be a part of various music videos and movies for artists such as Hey Ocean, and Michael Buble. She is Acrobatic Arts Module 1 certified and co-teaches the studios Acrobatic Arts program. 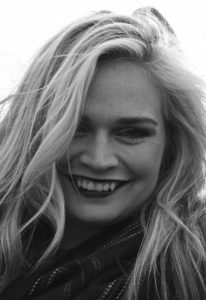 Megan moved to Victoria to finish her psychology degree and is excited to share her passion for dance with all of her students. Barb started her teaching career in 1978 through the Victoria school district. She continued to volunteer at a number of schools throughout the years where her students won top awards and were selected to perform in the Honors Performances. She has directed several productions including “Fievel, Lost In America”, “The Little Mermaid” and “Beauty and the Beast”. She has choreographed for musicals such as “Oliver” and “The Wizard Of Oz”. Over the years, Barb studied Jazz, Tap and Ballet. As well as director and an instructor at Dance Unlimited, Barb works as a Special Student Assistant for the Victoria school district. Her amazing ability to work with and care for children can be seen through her dedication and respect she gives to the students of Dance Unlimited. 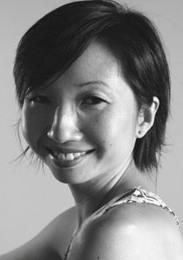 As director, Barb oversees the development of Dance Unlimited’s pre-school and primary dancers. Chelsea is originally from Courtenay, B.C. and began her dance training at age three. She instantly fell in love with it and began expanding her knowledge in various forms of dance including Jazz, Hip Hop, Lyrical, Modern Stage, Ballet, Pointe, Irish, Contemporary, and Salsa. At the age of twelve, she started to compete with solos and received several bursaries and scholarships along the way, including the “Most Potential Dancer Award” at the Centre Stage competition. Chelsea has been the North Island representative at the Provincials both in 2005 and 2008. She has been fortunate enough to have had the opportunity to train with many dancers and choreographers in Los Angeles, Las Vegas, Toronto, as well as all over B.C. Additionally, Chelsea was a member of the ARC Youth Dance Company and attended the Drive Dance Centre Scholarship program in Vancouver. In 2010, Chelsea was honoured to be chosen as the Extreme Dance Convention Apprentice which allowed her tour several Canadian cities with Melissa Williams (choreographer and judge for SYTYCDC). In 2011, she auditioned for ‘So You Think You Can Dance Canada’ and made it to the finals in Toronto. She is Acrobatic Arts Module 1 certified and co-teaches the studios Acrobatic Arts program. Chelsea is very excited to have established Victoria as her new home and can’t wait to share her passion and knowledge with her students. At the young age of three, Kelly started her training in Vancouver B.C.. While completing her R.A.D. exams through to Advanced, she was also privileged to receive training from the Royal Winnipeg Ballet, the National Ballet of Canada and the Banff Centre for Performing Arts. Her post-graduation training took place at Main Dance Projects Society where she fell in love with the art of modern dance. There she studied many forms of modern dance such as Graham, Labon Notation, Contact Improvisation and Bhuto. She was honoured to be able to work with many artists such as Helen Walkley, Margie Gillis, Barbara Bourget and Sylvain Brochu while performing around the City of Vancouver. During this time she also sought training at Toronto Dance Theatre where she had the opportunity to work with great artists such as David Earl and Christopher House. 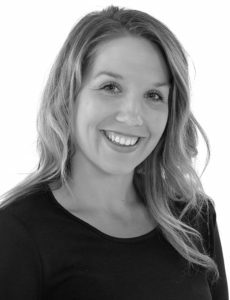 Since then Kelly has had the priviledge of teaching, dancing and choreographing throughout Vancouver and Vancouver Island. 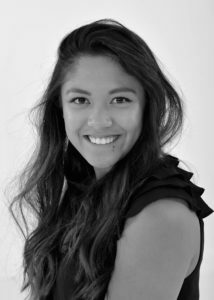 A Victoria native, Leticia’s training took place at Pacific Dance Centre. She was also fortunate to receive training from the National Ballet School of Canada, the Banff Centre for Performing Arts, and Pacific Northwest Ballet School. Her professional dance career includes numerous summers at the Banff Festival Ballet and 10 years with Ballet Jörgen Canada. She has performed ballets such as Nutcracker, Romeo and Juliet, Coppélia, and works by Balanchine. She has also been privileged to work with and to perform the new works of great choreographers such as Crystal Pite, Wen Wei Wang, Mark Godden, Roberto Campanella, and many other talented Canadian choreographers. Leticia began her teaching career here in Victoria upon retiring from her professional dance career in 2002 and has taught at many schools both on Vancouver Island and on the mainland. Chelsea has lived and breathed dance since she began training at Allegro Performing Arts Centre at the age of three. Her experience has taken her to some of the top studios in the world including the Millennium Dance Complex and the Edge Performing Arts Centre located in Hollywood, California. At the age of 11 she was selected by Rising Moments Talent Agency to be featured on their website and to get the opportunity to train and work one-on-one with top choreographers in California. She has had the privilege to take classes with choreographers such as Shane Sparks, Leslie Scott, Tabitha and Napolean, Dante, Jason Samuels, Twitch and many others. She received numerous awards and scholarships at festivals and competitions and was chosen to represent Victoria at the BC Provincial dance festival for eight consecutive years where she placed as Runner up in 2011. Chelsea’s commercial experience includes dancing in music videos such as “Brighter At Night” by Ash Koley, “Slave2Love” by Stef Lang and “Sunglasses” by Sophia Mock, as well as being chosen to act in numerous movies as a background performer. 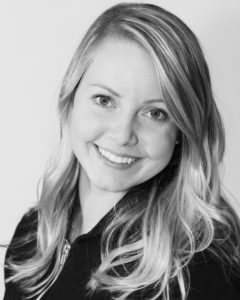 Chelsea has had experience teaching several disciplines of dance since the age of 16 including tap, jazz, contemporary, lyrical and hip-hop at multiple dance studios. She has also completed and passed her Advanced 2 Tap and Advanced Modern exams with Honours.